All interpersonal relationships come into focus this month. There is a strong drive to work with others, in teams or in partnership. You can achieve more in conjunction with others, especially when they complement your skills. You can get to know the people who are part of your everyday life much better, and this can lead to a greater sense of camaraderie. You are more forgiving right now, and that means you can see beyond the obvious ‘faults’ of people to the causal factors. Compromising, negotiating and finding ways to work in harmony is a key element of March. You need to be patient, and even long-suffering as things do not always move at pace, and you will need to work with people who drag their feet or who have low motivation. You are challenged this month to keep your head when others are losing theirs and to keep the group focused in spite of setbacks or disappointments. Working with others in any capacity involves using psychology, subtle coaxing, and sensitivity; you cannot cajole or use a sergeant major approach. In looking for perfection, we often miss the joy in what is under our nose; this is a month to discover that often the best things in life ARE free. Non-verbal communication with others is very important, and so pay attention not only to what they say but to the eyes and body language or even to what they omit to say. Virgo are highly attuned to the subtle signals others give out, and this can give you an advantage. This year could be an ideal time to explore parapsychology and techniques like neuro-linguistic programming. March is a good month to make travel plans, especially if you are planning a major trip later in the year which involves hiking, safari, backpacking or archaeology and exploration. It is time to hold the mirror up to yourself in relationships – what are you projecting? Resolving many relationship issues start with asking: what can I do to change this, rather than what would I like him/her to do? This does not mean taking the blame, rather taking back control over the situation. In new relationships, you may feel the relationship lacks definition, i.e., you want to label the relationship as ‘steady’; ‘engaged’; ‘separated’ etc., and yet the most appropriate tag could be ‘it’s complicated’ because it is right now. One or both of you may be unsure of where things are going next, and that does not mean that you necessarily doubt your love. The uncertainty can also have its roots in geography, i.e., it’s a long distance relationship, or his/her job is causing him/her to move, maybe one of you has family problems which limit time for romance. It is better in new relationships not to put expectation towards achieving firm commitment and promises – just go with the flow and allow things to develop organically, without thinking too far ahead. If you do put pressure on your partner, you will elicit promises from him/her which they cannot keep, so what is the point? You should enjoy relationships for what they are and appreciate that relationships both new and old are evolving in often mysterious ways this year and trying to work everything out and map the future can be selfdefeating. There can be a sense of something missing in your relationship – almost as if something that used to be there has ebbed away. You need to ponder on what that is and get it back again – don’t lose that loving feeling. It could be that the real world intruded on what once was a romantic bubble and this is the year to get that romance and also the togetherness back. Stop putting fun on the back boiler and make it a priority – those who play together stay together. Rewind the relationship and think about what worked for you; you haven’t changed that much, inject some of the old sparks back in. Even if day to day life regarding your relationship is challenging this month, you can evolve together on a spiritual level and find meaning from even trying circumstances. Where you were reluctant to accept advice last month, this month advice, especially from an expert, can be very helpful and more on point. It is vital that you can narrow your questions down to something very specific to get more from experts. Vague questions give vague and useless answers, and so narrow your problems down to carefully formulated questions which will generate answers that are actionable. Virgo who work as tarot readers, clairvoyants and psychics will have added insights and a clear connection can be established with clients. ESP to do with your clients can mean that Virgos who work as doctors, pharmacists, nurses, or vets too can make accurate diagnosis of physical and mental conditions which is beyond the clinical in terms of analysis. This is a very powerful time for Virgos in medicine or the caring professions as you are more sympathetic, understanding, and intuitive and will gain as much from helping others as they can from you. Virgo who work with energy fields like chiropractors, Reiki, reflexology, or hands-on healers can have outstanding results. 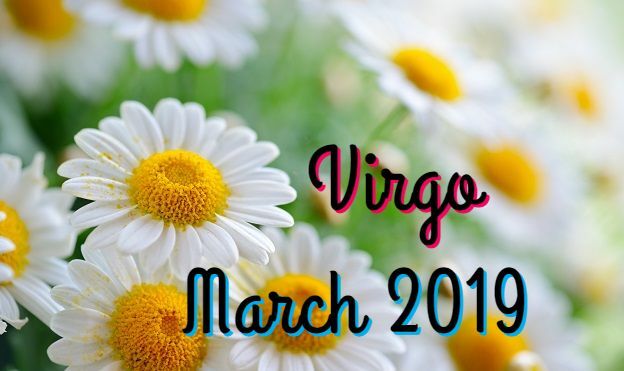 Virgo could be attracted to careers where a certain level of faith is involved, i.e., faith in the unseen and unproven such as astrology, psychic work, homoepathy, religious instruction, hypnotherapy or herbal medicine. Virgo may look more to alternate fields for answers. In work with others, you need to be a leader rather than a follower – you must give direction as you are the clear thinker with the practical matters in mind while others could be a little naïve and idealistic. Do not be swept along; be the one to say, “Whoa, let’s think this through a little more logically.” You do need to keep a certain guard up as your psychic nature is porous, and you may imbibe too many unsettling emotions from others. Know how to switch off from the vibes others around you are generating or else you will become anxious and out of kilter.